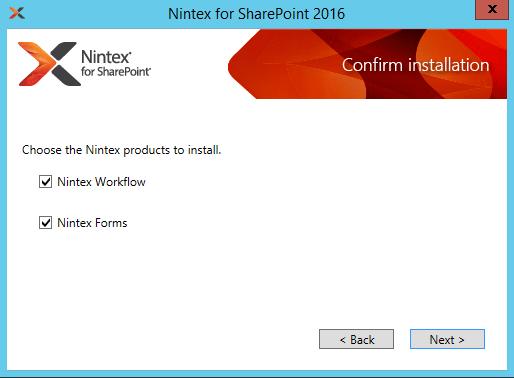 So this week at the Worldwide Partner Conference in Toronto, Nintex released “Nintex for SharePoint 2016” amongst other products including the new Nintex Hawkeye, workflow analytics. More about the analytics later. 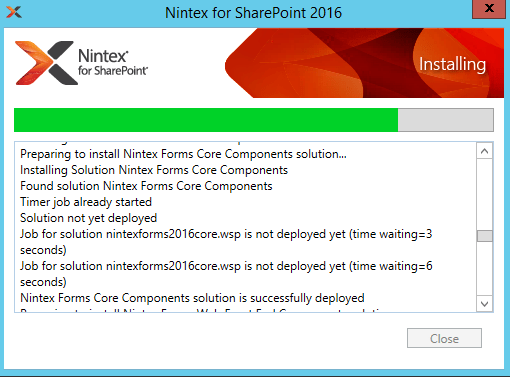 I want to have a look at Nintex workflow for 2016. Firstly, a huge departure from previous versions is the unified installer. Yes, workflow and forms now wrapped up into one install file. This is fantastic news as previously, there was always the issue with “what product do i install first”. 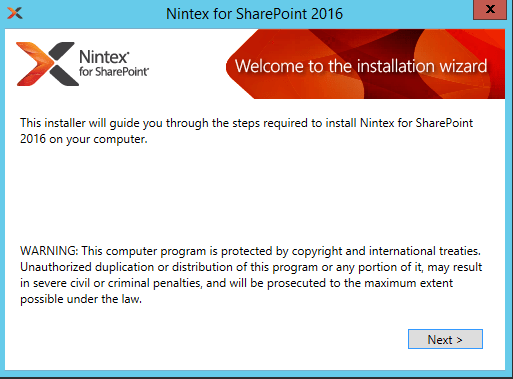 Lets jump into the installer. You grab the download and if you are a client, you would receive a license file as well. In this case, its one license file and not two. 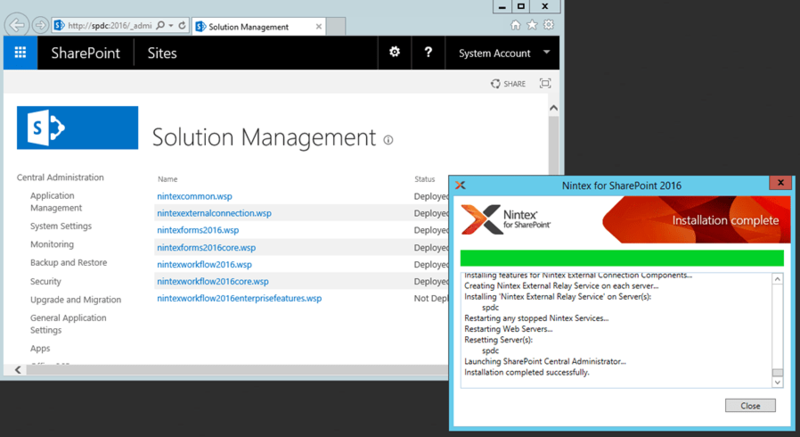 If installing on a farm with active users, select the export option so that you can deploy the .wsp’s manually without interrupting any activities on the platform. Since I am installing it on my demo server, I am going with the automated option. The screen above is self explanatory. I must admit, the verbose logging at install time is really good. 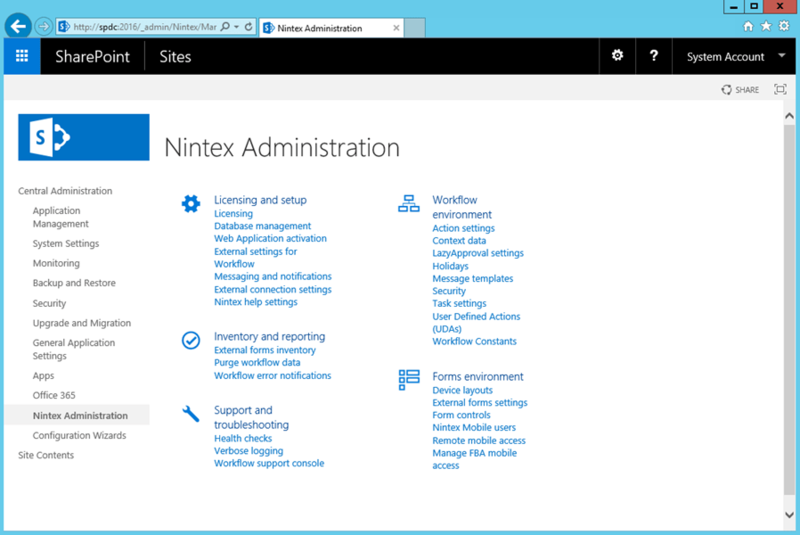 On completion, Nintex has added launching Central Admin to display the successful completion of the platform, which is nice. And just like that, the product is installed. Note, I said installed, not configured or activated. 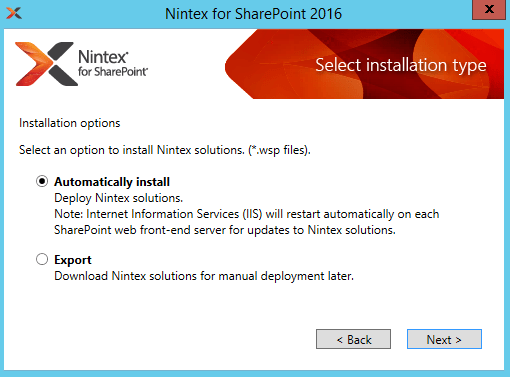 This is were Nintex has done the biggest upgrade to the deployment of the product. No longer will you have 2 separate links in Central Admin. Ahhh, soo much of good here people. 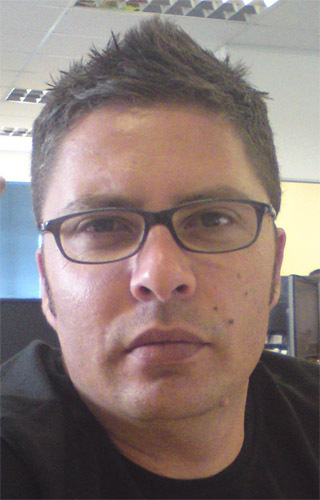 Next steps would be to license the product and configure the databases, etc.